With my tastebuds now in full working order and the end of active treatment in sight, I have started to think a little less about standing on cliffs with no hair and climbing mountains (I have my brighter life list for that – click here to view) and a little more about the small adjustments I can make from now on that will help me live a healthier life. Read the headlines and you could be forgiven for thinking that that ‘life’ now needs to be one heavy on blueberries, packed with alkaline foods and without sugar. The more I read about cancer and diet, however, the more I realise what a complex subject it is and that oversimplification of certain ideas can do more harm than good. I certainly refuse to believe I got cancer because I am partial to a bit of buttercream now and again! Interestingly, diet it is not something that has been tackled by my oncologist (the only thing we discussed was the importance of eating what you can tolerate on chemo to keep the calories up and not making any major adjustments to diet while undergoing treatment). 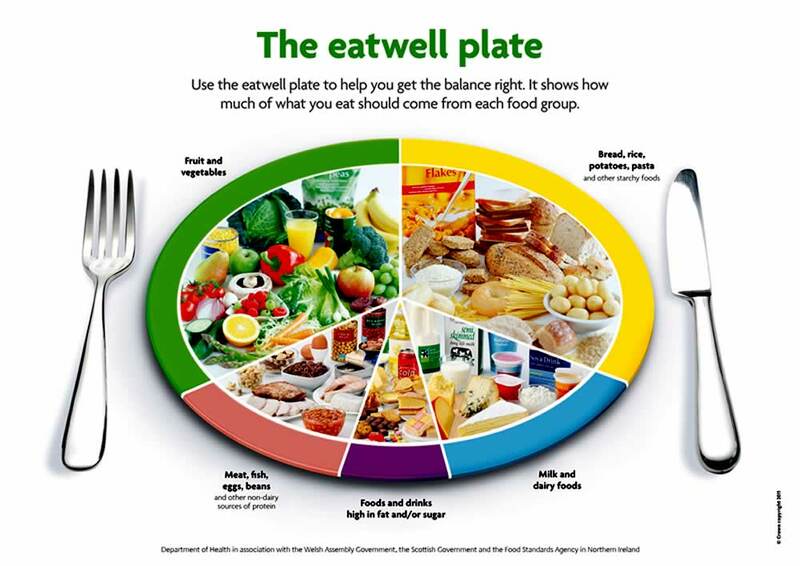 In fact, the only consistent advice I have received has come from three unrelated cancer and food seminars that all point to one thing: a healthy, balanced diet (as explained by this eatwell plate, which indicates the types of foods that should be making an appearance at every meal). It is not dissimilar to advice dished out in home economics lessons of old. And, while it does advocate things like blueberries, flax seeds, brussel sprouts and quinoa (all of which I like), bread, cake and cheese are still there, holding their own (yet in a small, concentrated way). I am no authority on diet, but I can navigate my way through the ‘superfood’ marketing spin and a bit of basic biology to recognise that healthy eating is more about moderation than it is banning foods completely and depriving yourself of the odd treat. Breast Cancer Care produces some useful information on the subject (click here for its Healthy Eating after treatment page, which is great starting point). And, Cancer Research UK, has written a piece a clear overview debunking certain cancer myths, which is worth a look (click here for more). The truth is, for all my talk of victoria sponges, chemo cookies and cobb loaves, I think my diet is actually ok (I am already nearly back to my pre-treatment weight for starters, which is good sign). I keep a food diary, so I can build up a realistic picture of my food intake. I cook meals from fresh that are heavy on fish and vegetables. I also think of blueberries as a bit of a treat. And, while lunch is still a bit of an Achilles heel for me (if you have any great lunch recipes, please do share), eight portions of fruit and veg a day is sometimes a bit of a push, my breakfast is many shades of beige and I’m never one to refuse a decent biscuit, I think healthy eating for me means a bit of fine tuning rather than a revolution in the kitchen! I’m after a life of quality as well as quantity (still aiming on 92). And, quality means a few of my favourite things making the menu each week. It is fair to say, I love food (I remember planning my school life around the menus I insisted mum write up on the fridge door). 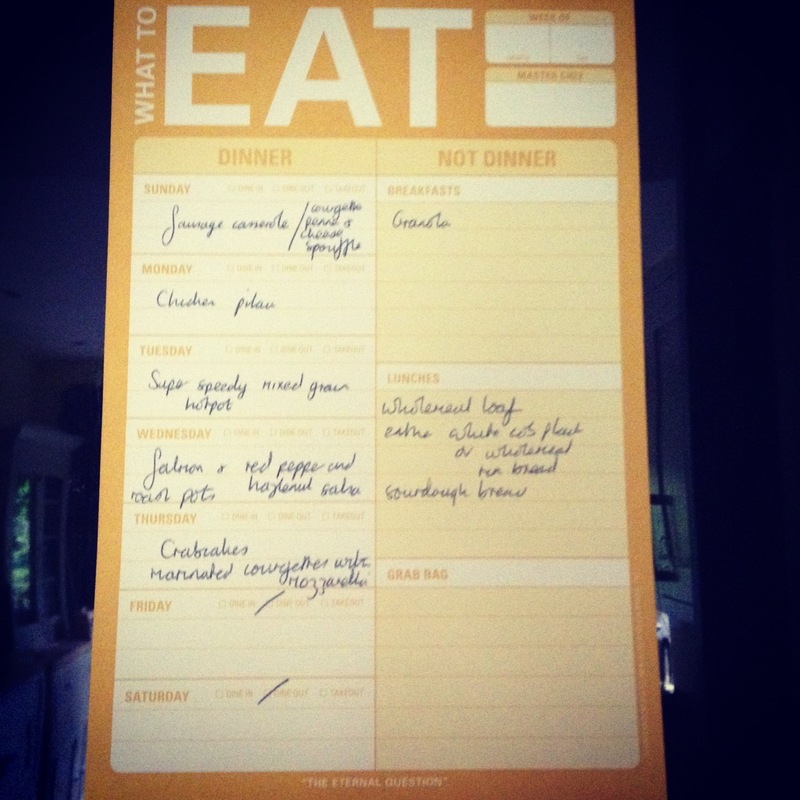 Meal planning has its own designated notepad in the Scully/Sloan household and I love nothing more than spending a few hours each week pouring over cookery books. There is, however, one area for which I get a huge black mark. While I am good at eating, I am not so good at drinking (by which I mean lack of water and not excess of wine). I reminded of this fact at my penultimate shiatsu appointment at the Haven on Thursday (click here to find out more about the Haven’s free complementary therapy programme for breast cancer patients). My therapist stopped me while I was merrily listing out my remaining post-chemo side effects and asked: ‘Jackie, do you drink much water?’ Rather than replying straight away, I first tried to recall the recommendations for water drinking to work out how dismal my water intake actually is. I couldn’t (the European Food Safety Authority says about 1.6 litres a day for women and 2 litres a day for men), so instead I said (rather sheepishly): ‘How much should I be drinking?’ I think that comment told the therapist all she needed to know. Thankfully, what followed wasn’t a lecture on my copious tea drinking, but rather a piece of useful advice. The therapist didn’t talk in litres or numbers of cups (she argued that the main thing was to increase intake rather than set rigid rules). She did, however, suggest I make one cup of hot water to go alongside each cup of tea that I drink (I am at the kettle anyway). It’s a small and simple adjustment, which should make a big difference. I have already started. And, I already feel like I’ve earned a few brownie points. (As an aside, people do often count tea drinking in their daily fluid intake, but given it tends to dehydrate, it feels like cheating). 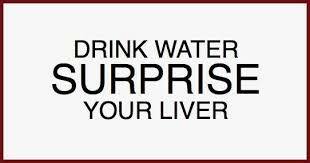 If you have any water drinking strategies, do share them. The benefits of water are well documented (everything from facilitating chemical reactions in the body to removing toxins and weight and boosting the metabolism). When I couldn’t drink it on its own on chemo, I really missed it. I like it. I am just not so good at getting enough of it (except in the days after each chemo poisoning when my mum was sat there basically feeding it to me). So, from now on, I vow to fill up my glass (and my bottle), and give my body what I give the garden: a good watering! Let’s raise a glass to water (hot, cold, with lemon or without). May it be the liquid of life that keeps our spirits and productivity levels high – and our need for senna low. NB: Given my latest resolution, now might be a good time to pledge me that drink to celebrate the end of active treatment! To find out more about my pledge idea and how, by pledging, you will be generating cash for charity, head to lesson number 132 (click here to read). Breast cancer lesson 143: Let the blasting begin!